ProductsHomeCables & Accessories3/32″ Cable-Maximum Weight Capacity: (1) cable = 155lbs./(2) cables = 186lbs. 3/32″ Cable-Maximum Weight Capacity: (1) cable = 155lbs./(2) cables = 186lbs. Enquiry about 3/32" Cable-Maximum Weight Capacity: (1) cable = 155lbs./(2) cables = 186lbs. 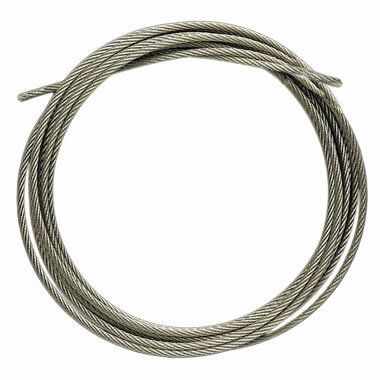 3/32″ cable, available in custom lengths.